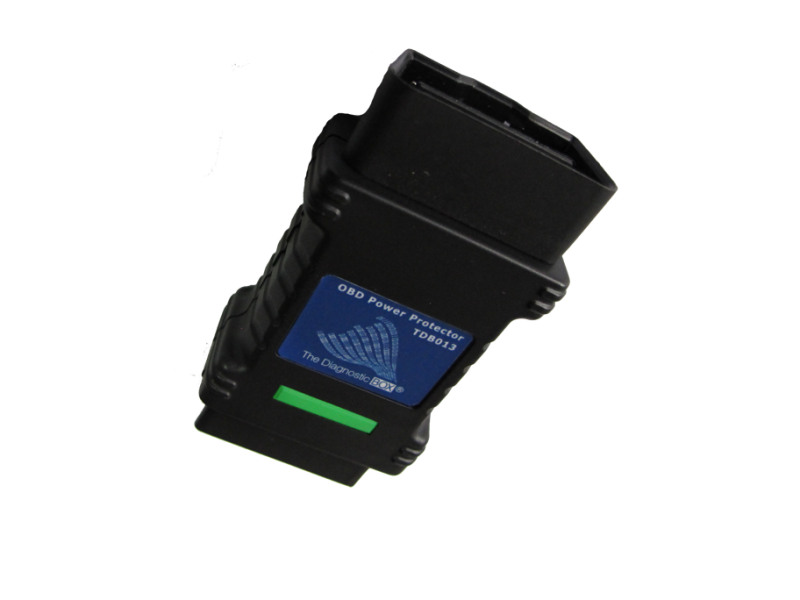 The TDB013 OBD Power Booster and Protector has been designed to protect your investement from being damaged by issues with the vehicle you are testing. Many vehicles can exhibit unknown problems and plugging in a piece of equipment worth thousands of pounds is sometimes a gamble. With jump packs, booster packs and car chargers the amount of interference, voltage spikes and voltage surges can easily damage expensive equipment. The TDB013 adds an additional level of insurance, and offers the protection you need. The TDB013 will take the damage rather than your expensive diagnostic equipment, and it wont leave you without your equipment for days and maybe even weeks while you get it repaired. 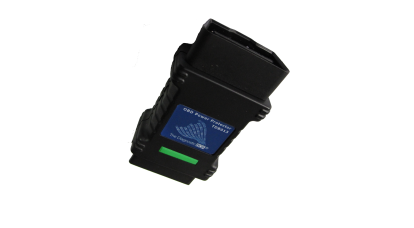 An additional clever feature of the TDB013 is its ability to manage the supply voltage that is on Pin 16 of the OBD port. This varies depending on the vehicle, condition of the battery and the wiring from the battery to the OBD port. It is not uncommon to have only 11 volts at the OBD port when the battery is at 12 volts. The TDB013 will maintain 12 volts to your diagnostic equipment regardless whether the OBD port is at 10 volts or even 15 volts. It will maintain a fixed 12 volts DC to pin 16. This means it will smooth out any changes in voltage due to overcharging, boost packs or battery chargers which can cause havoc with anything connected to the vehicle. In additon if the battery level is a little on the low side, and the diagnostic equipment requires 12 volts to function, then have a fixed 12 volts even when the battery is at 10 volts can be a real plus when trying to diagnose a vehicle problem.